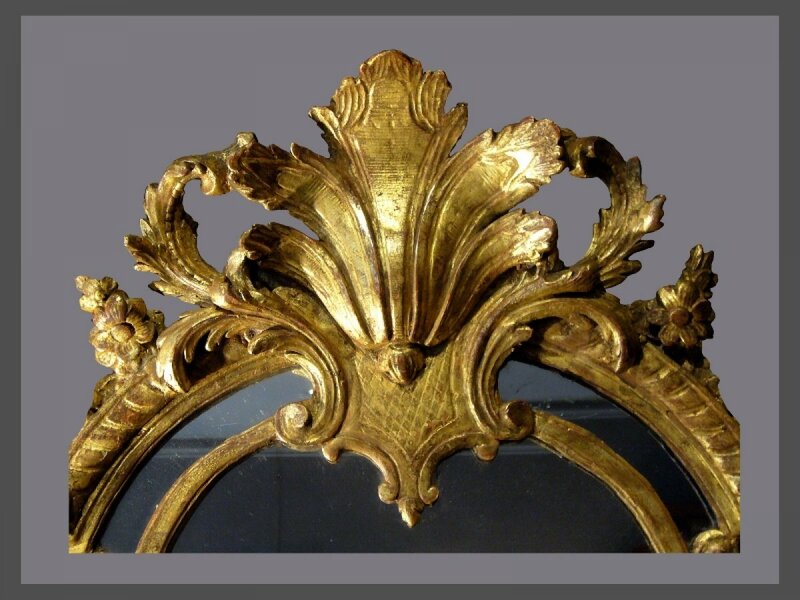 The arched frame carved with scrolling foliage, flower baskets and adorned by a central motif of a palmette. 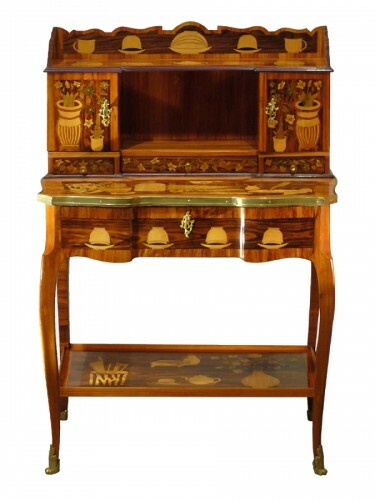 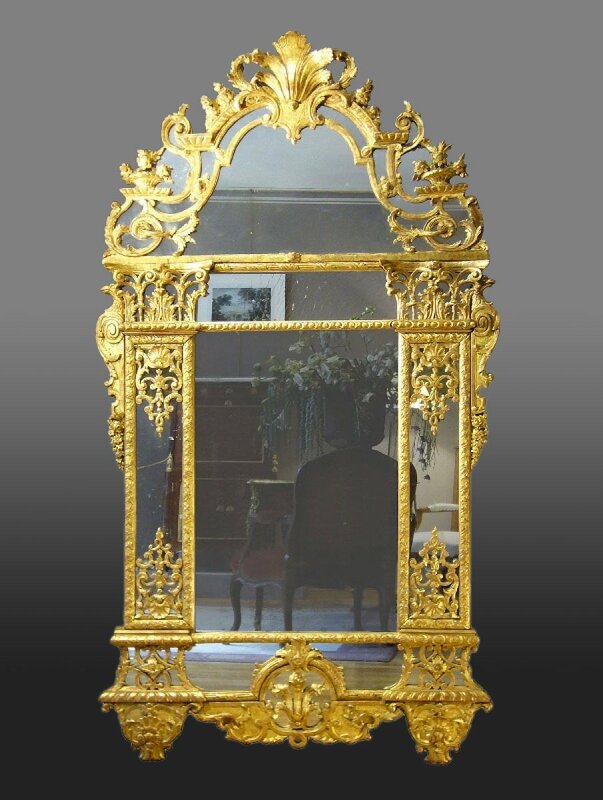 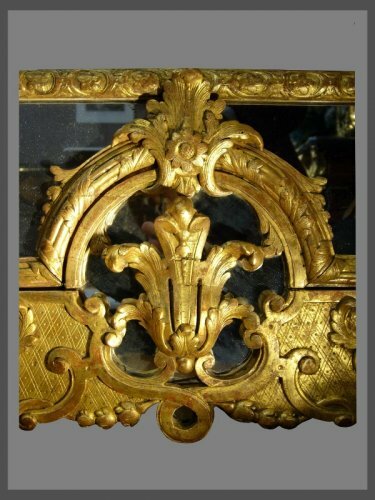 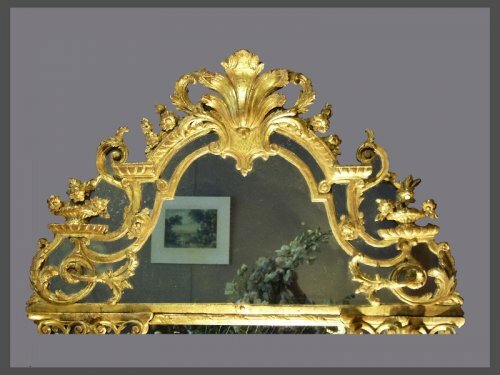 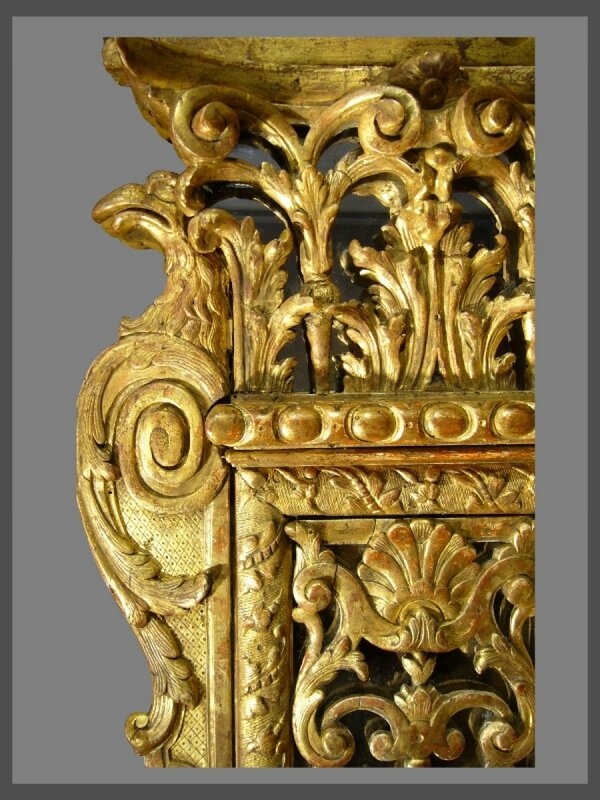 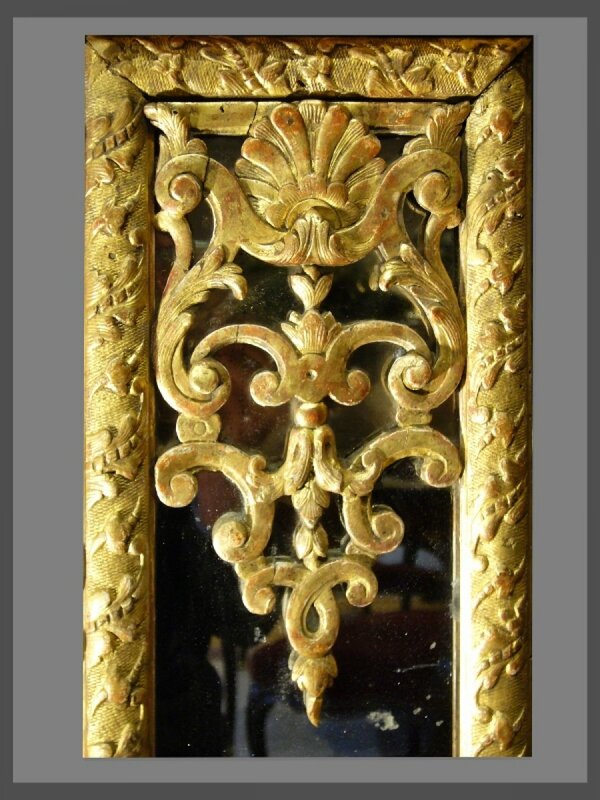 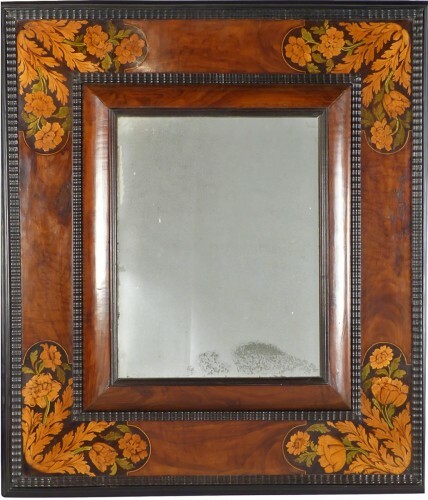 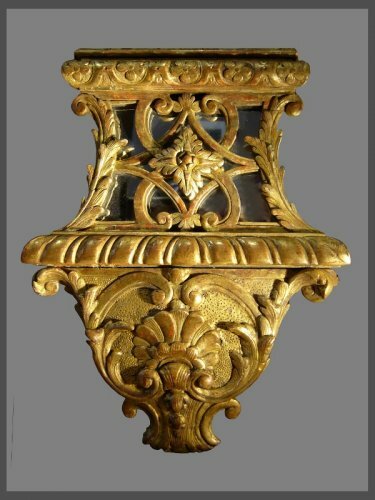 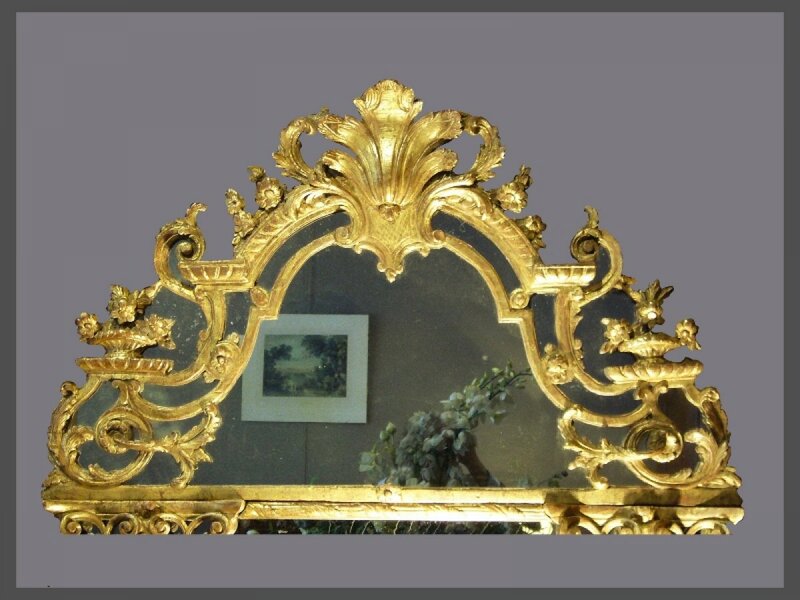 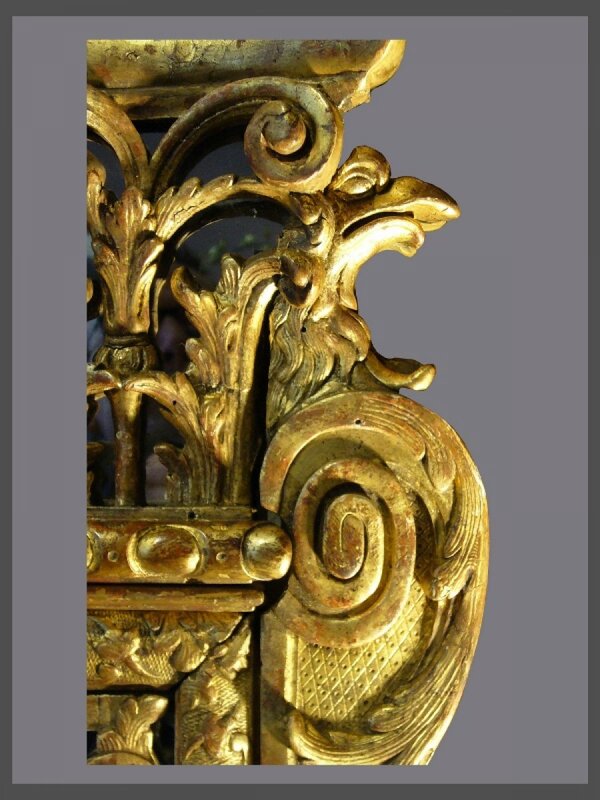 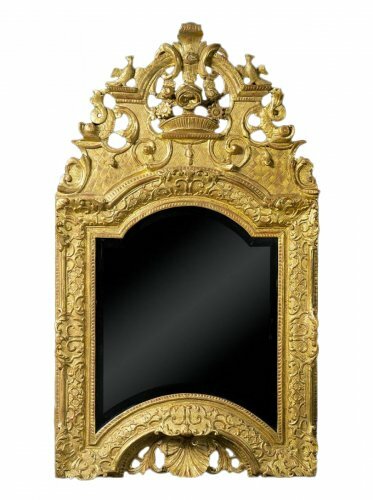 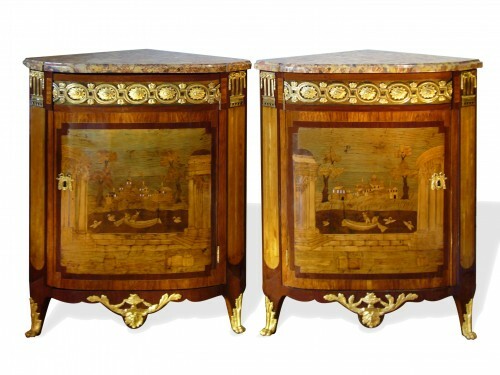 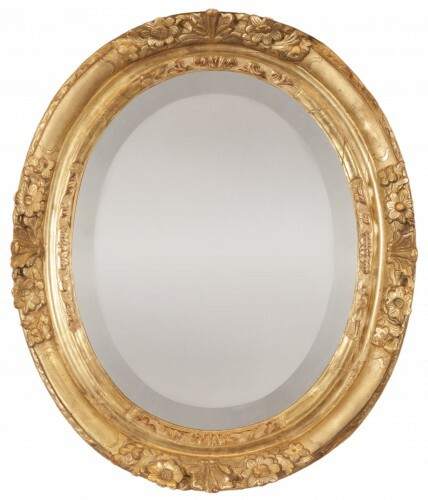 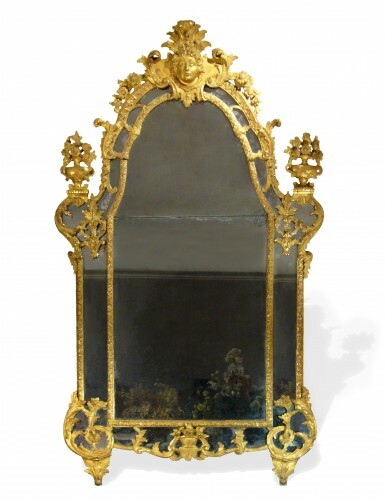 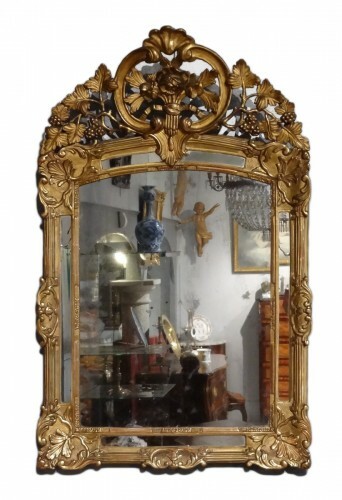 The double rectangular frame presents a rich ornamentation such as Corinthian capitals, flowers, flower vases, gadroons, eagles, scrolling foliage and acanthus leaves. 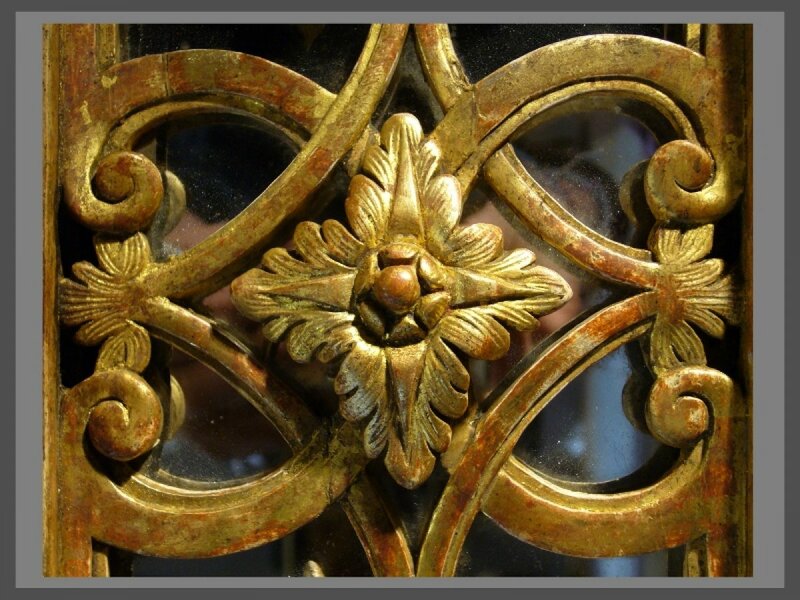 - Perfect symmetry of the decoration. 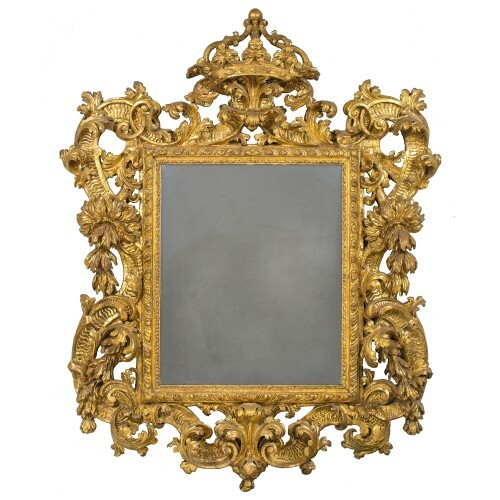 - Perfect representation of the magnificence of the reign of Louis XIV.